Every single one of us hates it when people asks us what our favorite book is, who our favorite author is. My first reaction will always be “in what genre?”, although even that doesn’t really help narrowing things down most of the time. When being asked what authors I discovered? Let’s just say it isn’t a very easy question to answer either! But.. Since I felt like I should at least try torturing myself – see what I do for you guys?! – I’m actually sticking to this week’s TTT-topic for once! Although I am narrowing it down to authors I discovered and love. Without further ado, here are my “New-To-Me Authors I Read In 2018”! Let’s start by saying I’m not focusing on 2018-releases all that much – at least.. I don’t mean to! Actually, I’m pretty sure most of the books in this post are older releases, which makes this even more beautiful, really. It shows how you don’t have to stick to new releases and new authors to discover amazing books! 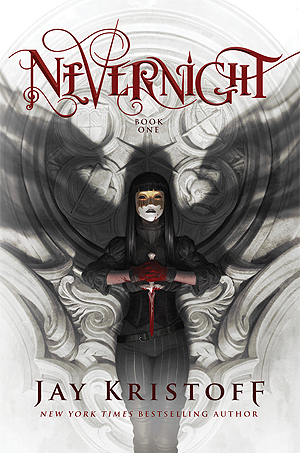 I know it might be cheating to put Jay Kristoff’s Nevernight on here since I did read Illuminae in 2017, but since that one’s co-written, I’m still counting him as a new-to-me author! His writing by itself is so different compared to The Illuminae Files that I feel I can do this without feeling bad about it, haha. 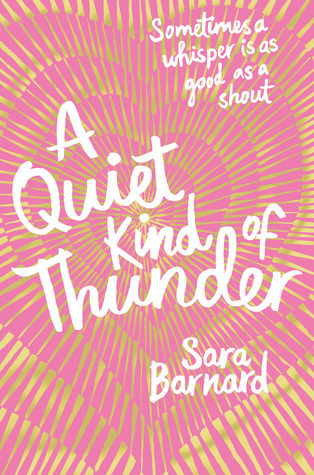 A Quiet Kind of Thunder is one of the books that left a huge mark on me. I loved the deaf / mute rep in that one and I honestly can’t wait to read more of Sara Barnard’s work. I already have some on my TBR! Then we have these five. I think the most surprising of the bunch is Eva Chase. 2018 is the year I discovered reverse harem and I’m hooked. I haven’t read nearly as much in the genre as I want to, but she’ll always be the author who introduced me to it and, for that, she deserves a spot on this list. 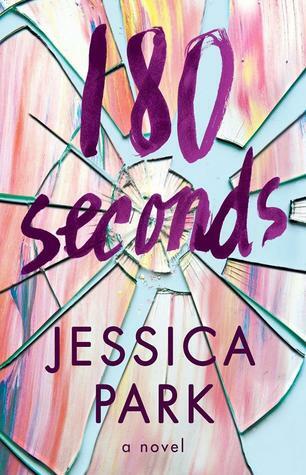 Jessica Park’s 180 Seconds broke me – twice – in 2018, since I actually reread it not even six months after reading it the first time. I still need to get my hands on her older work, but I will eventually! No doubt! 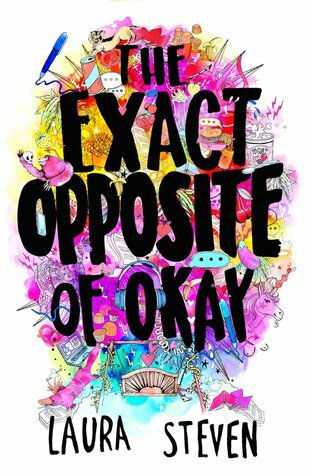 Starfish and The Exact Opposite of Okay are both books with important themes, at least to me. Bullying, mental abuse and strong female characters finding themselves. So much yes! I cannot wait to read more of these authors. And as for Natasha Ngan? As if I cannot put that book on here. I’d love to read more! What do you think? Do we have any of these authors in common? Are there genres you discovered in 2018 and want to read more of? What are some new favorite authors of yours? Excellent list…and you can totally count Jay Kristoff’s solo work on here, because co-writing is rather different. Especially his. After reading Godsgrave, I find it so weird how co-writing can have such an influence on an author’s writing. I should look into reading something of Kaufman’s so I can compare that as well. Kaufman is mostly a co-writer. But she does have one solo series called The Elementals. The first book is Ice Wolves. Oh, shapeshifters! Definitely sounds interesting! I bought Girls of Paper and Fire on my Kindle and then I got it with Owlcrate. Now I have two copies and haven’t read it yet. Hopefully I will soon though. Great list! I still really need to start Taran’s books! Ugh. And I.. really need to continue them.. Haha. I think i’m gonna read Starfish as well… eventually. “Eventually” is pretty much.. what I say when it comes to reading any book. Bookworm’s life. I am happy that Natasha Ngan’s GIRLS OF PAPER AND FIRE is on this list! I still haven’t read my copy but I am really excited for the right time to read it! I couldn’t NOT put it on here, to be fair! 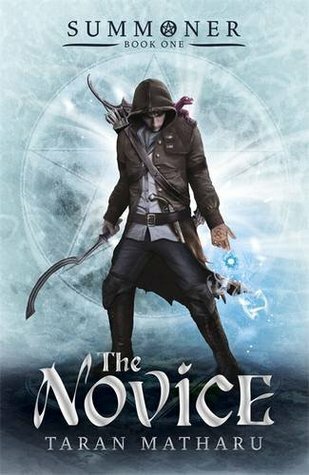 I need more queer fantasy books in my life, haha. I read Jay Kristoff with Illuminae last year. I’m counting it though. Same as Leigh Bardugo even though I only read her short stories. I’d like to read Akemi Dawn Bowman at some point. I got Starfish when it was on sale over the summer, but I have yet to read it. Even though it’s in my January TBR jar. It hasn’t gotten picked yet. Absolutely loved Starfish! Haven’t gotten my hands on a copy of Summer Bird Blue yet, but I definitely will at some point. Fingers crossed you’ll pull it out soon! I received Natasha’s book for Christmas, and I’ve been wanting to crack it open so badly! Oooh I hope you do sooooon! I picked up Stalking Jack the Ripper last year when it was on sale. Still need to read it! Oh, hope you do and you end up loving it! It’s such a dark read – and the descriptions definitely gave me goosebumps while reading, haha. I’m definitely planning on reading more of his work! Someone recently told me his Stormdancer series are a bit different writing-wise though; so I’m.. curious to see in what way? Haha. Laura Steven was on my list this week too! 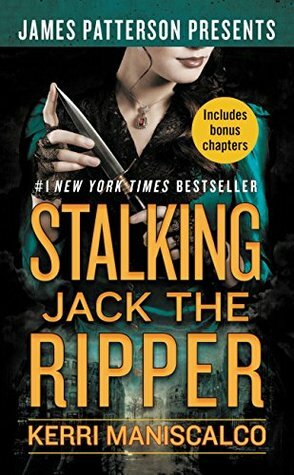 I’m also planning on reading Stalking Jack The Ripper this year, so it makes me very excited to see Kerri Maniscalco on your list. Love her book! And cannot wait for the next one to release either, haha. Yes, so excited for the sequel. Ha ha I’m not usually, but I am actually saving that one for October, the chance to have it as a Halloween read was too good to miss. Ha ha same-usually it doesn’t bother me but with some books I’m like, well you’d be an idiot if you didn’t read it at that particular point in time, it’s just too perfect! Was Stalking Jack the Ripper gory? I’m curious about it, but I can’t handle a lot of blood and guts. I definitely remember things being very.. descriptive.. Not to mention some of the illustrations throughout the book – if I remember correctly. 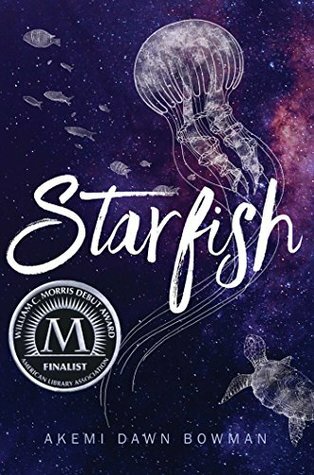 I can’t wait to read starfish soon! Oh I hope you love it as much as I did! Great list! 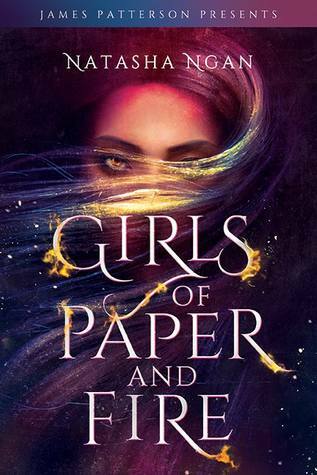 I’m hoping to read Girls of Paper and Fire really soon; February is actually LGBT+ History Month in the UK, so I think I’m going to read a bunch of LGBT+ fantasy next month. I need to check out Kerri Maniscalco, too! Oooh! Queer fantasy! ❤ We need more of those to be honest, haha. i haven’t read any of these authors, but i’m planning to read kerri maniscalco’s books asap! 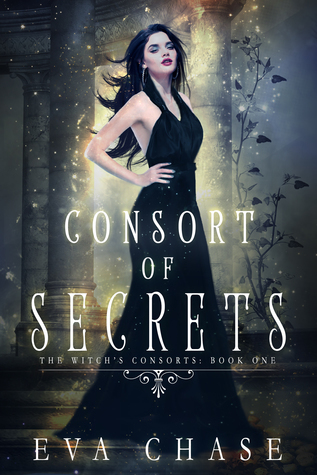 also i’d love to check out jay kristoff’s books as well. Great list! Those are definitely two authors worth checking out! Huge difference in writing style though, haha.